An estimated 64,000 Black girls and women across the United States that have gone missing. 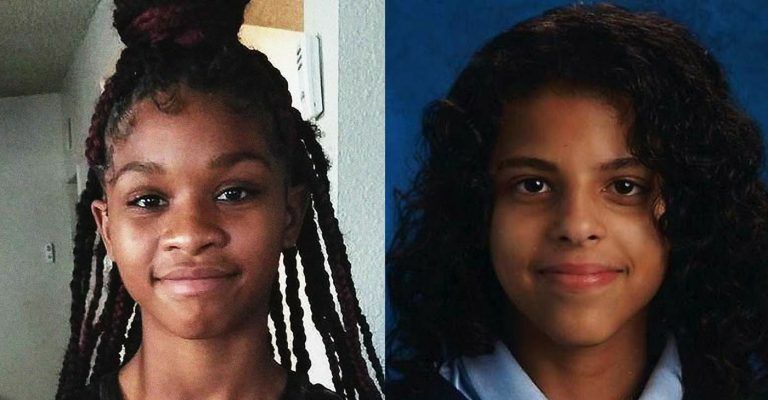 Iniaya Wilson (right) and Skylar Minnie are also among an unfortunately growing number of young people listed in the “critically missing” section of the expansive database of the National Center for Missing & Exploited Children. Have you seen Iniaya Wilson? Wilson is just 14 and has been missing from her Columbus, Ohio home since Jan. 25. She has brown hair and brown eyes; standing 5 feet 6 inches tall and weighing 120 pounds. Thankfullly, Skylar Mannie from Lancaster, Calif. was found on March 9. She had been missing since Feb. 14. Have you seen our missing Black girls? Just 14, Wilson has been missing from her Columbus, Ohio home since Jan. 25. Thankfully, Skylar Mannie from Lancaster, Calif., was found on March 9. Prior to that she was last seen on Feb. 14. The two are among the estimated 64,000 Black girls and women across the United States that have gone missing. Wilson remains among an unfortunately growing number of young people listed in the “critically missing” section of the expansive database of the National Center for Missing & Exploited Children. That includes girls and women of all backgrounds, an important distinction because of the lack of media coverage of African-Americans who’ve gone missing. That has spurred activists and some in Congress to action. Walsh, who formerly hosted “America’s Most Wanted,” now does similar work with his show, “In Pursuit.” The show, which airs on the Investigation Discovery network, has remained relentless in its pursuit of missing children. So far, the nonprofit has helped law enforcement find more than 284,000 missing kids, and NCMEC’s 24/7 Call Center has handled more than 4.8 million phone calls and has access to 190 languages. Walsh founded NCMEC nearly 35 years ago after his 6-year-old son, Adam Walsh, was abducted and later found murdered. That concern heightened when investigators in California announced that they were trying to identify the body of a young Black girl who was found dead inside a duffel bag in a suburb of Los Angeles. The girl was eventually identified as Trinity Love Jones. The boyfriend of Jones’ mother, Emiel Hunt, 38, has been charged with her murder. The discovery of Jones, combined with the lack of any new missing person reports that match the girl’s description, shed further light on the plight of missing Black girls. It looks as if there is a social cleansing agenda going on. There has also been an uptick in missing and murdered native American women MMNW movement across the US. I was Googling arounf to see if there was any other minorities losing young women and there sure enough is.